Now training and walking your canine companion doesn’t have to be such a difficult task thanks to Downtown Pet Supply Training Dog Lead. 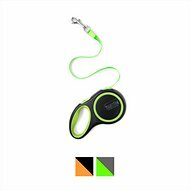 These long dog leashes give you the ultimate control when training your dog, while still allowing your pal the freedom to move, run, play and respond to commands. This heavy-duty long lead is 5/8 of an inch wide and 100% cotton. The webbed lead is strong enough to control even the largest dog. It can be used during play and can be very helpful during the training years too. And depending on the size, it can even allow for a game of fetch with your furry best friend. He will feel some freedom and learn some obedience, while you will remain in control. 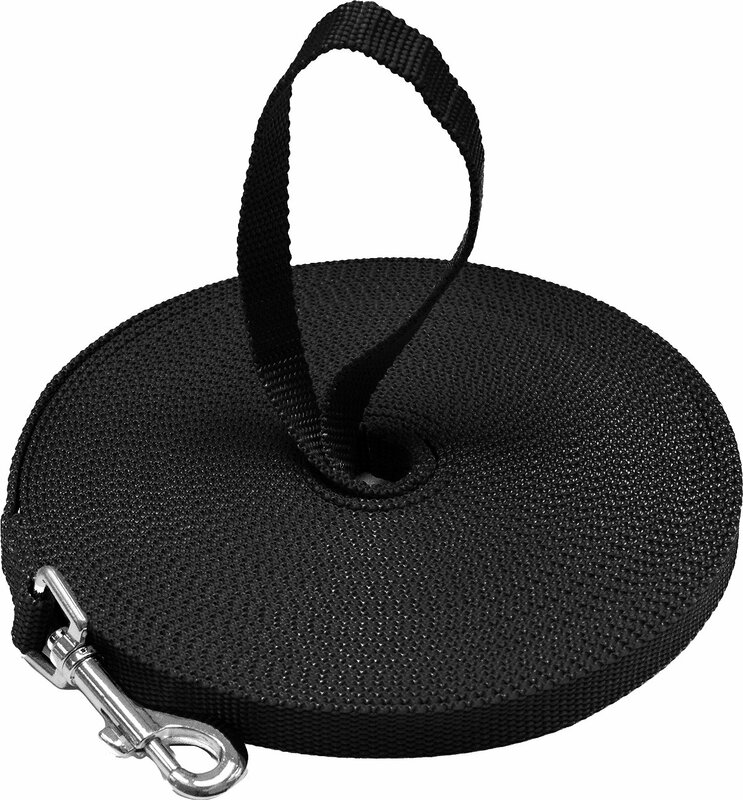 Long dog leash great for teaching your furry best friend to respond to your commands at different distances. Allows your pal the freedom to move, run and play while also responding to your commands, so learning can also be fun. 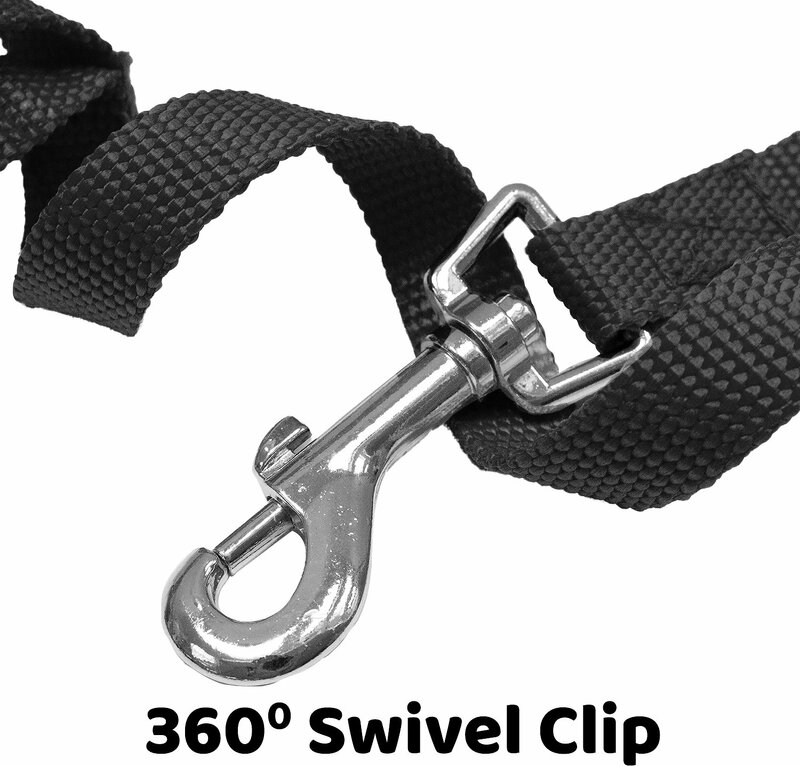 Swivel-style bolt snap resists twisting, so no matter where your pal turns to, the lead will follow him too. 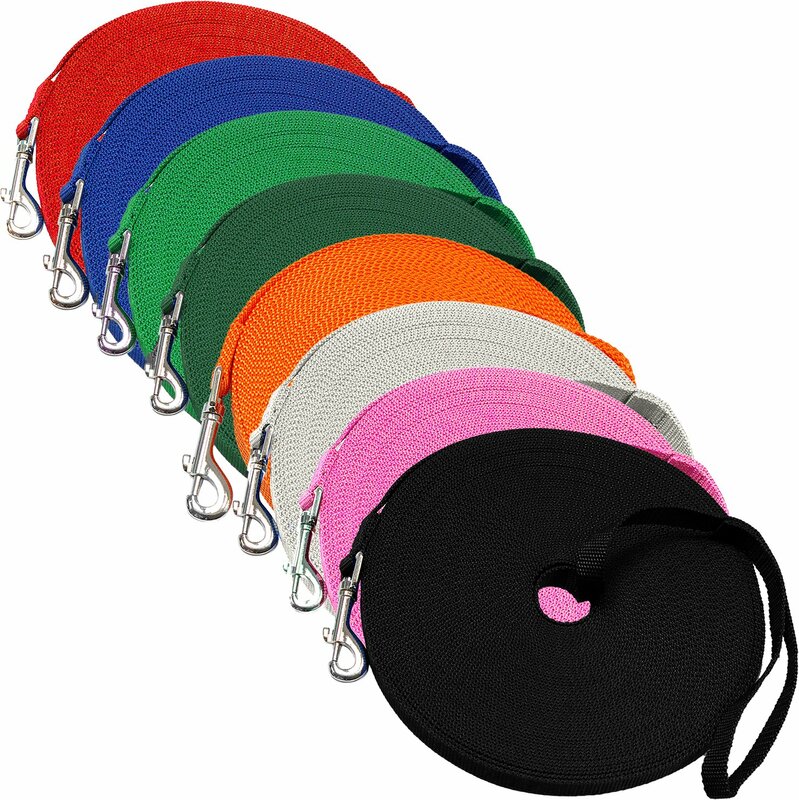 Available in a variety of lengths and colors, so you can choose the one that best fits your furry best friend. Great way to keep your furry pal out of trouble when faced with your local dog leash laws. Always supervise your pet while using this product. I initially bought this train my wild border collie pup, but it has been a lifesaver on multiple occasions. I live on a few acres, and this leash lets my pup be able to run freely, but still let me have some control if he sees a deer and takes off. It also has been useful when we go camping or at the beach. After 8 months of use and abuse, it shows no wear and tear. Definitely recommend! This is great for training my Brittany to come when I call her in. She gets enough freedom to enjoy herself, but she can't get too far while we're still learning who's boss. Great way to get ready for off leash time. I wanted a training leash to train our 4 month Rottweiler puppy, I was initially concerned this leash would be too long, but is actually a perfect length for distance stay and come training, whilst keeping her safe. The leash is strong, extremely soft in your hand and we have had no issues with it tangling. Highly recommend. Great for walking on the beach. This is the perfect length for my little dog to run on the beach and feel free. And I can still have control when she runs too far. It's a great addition to have while working on recall training. The quality is nice, and it seems sturdy so far. Super way to let your dog stay safe playing fetch in an open area. Best if attached to a harness in case the ball goes further than expected. Do not hold coiled lead in hand (rope-burn!) and check dog is clear of lead between throws. Has made my dog's move from a fenced yard to an apartment much easier. I love that my little dog can feel like she has a little extra freedom to run around. She seems to enjoy going outside more often and is getting some good exercise in that I didn't think she had in her. I also like the fact that I can stay on my porch on rainy days while she goes out and does her business! This works perfectly with my 4 month old doberman. Gives me the security to let her run and play without worry. Also works well with training. Perfect solution for a crazy puppy! My puppy is only a 14 lb. shih tzu, but she has the heart of a German shepherd. After scaring me half to death when she chased after a very large groundhog, countless squirrels, and almost went after a deer one time, I knew we needed something to control her. Since we live out in the mountains without roads nearby, I usually don't leash her because she needs to run, so this leash gives me the best of both worlds. It's also allowed me to be able to teach her to come to me without being right at my side to begin with as well. One tug and I have her attention. It's very thick and sturdy as well--one of the best things I've bought for this crazy little dog! Thanks, Chewy!